So why am waffling on about how old and un-cool I am you ask? Princess Cruises have just released the results of a survey which states that 32% of parents aged over fifty shared their photos and holiday experiences over Facebook, whilst only 28% still sent postcards. To be honest I was surprised the figure for the postcard was that high but then I'm, (thankfully), nowhere near fifty yet! The obvious benefit to Facebook being that it's instant but then this post isn't about how great social media is, if you're reading a blog online I'm assuming you already know that. No what's interesting is that 32% of over fifties were using Facebook in the way it was intended, sharing experiences instantly and keeping in touch with everyone, even though they might be on the other side of the world. Why is that interesting you ask? It's interesting because it means Facebook isn't as new or cool as it once was. Teenagers are either deserting it in droves for other social sites or creating two accounts, one of which will have a fake name, (one for their family and one for their friends to see). It's fairly obvious why when you stop to consider it. Just think about some of the pictures or status updates you may have shared recently then ask yourselves if you'd want your Mom or Dad to see them! 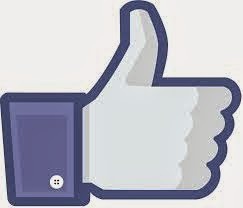 David Ebersman announced Facebook was seeing a slight drop in the amount of teenagers using Facebook? Who want's to be on the same social platform as their Mom and Dad???? How is it any different to them socialising with Mom and Dad offline - It just isn't 'cool'! Myspace, (I know! but it's trying to make a comeback, especially in the music world). So what do we do? Diversify and dilute are own efforts over multiple platforms? Or wait for the teenagers to grow up a little and come back to Facebook? Facebook certainly isn't going anywhere anytime soon and whilst Google Plus may want to give it a run for it's money as a purely social social platform Facebook is definitely here to stay; too many users have just got to much invested in their profiles for it to go the way of the first incarnation of Myspace. We certainly need to keep up with the latest releases and ask ourselves if we should be looking at any of them seriously but I think we'll be OK with the big three, (FB, G+ and Twitter), for a while still. I just can't be bothered with Facebook & that ilk. Just seems like short term attention spans to me.